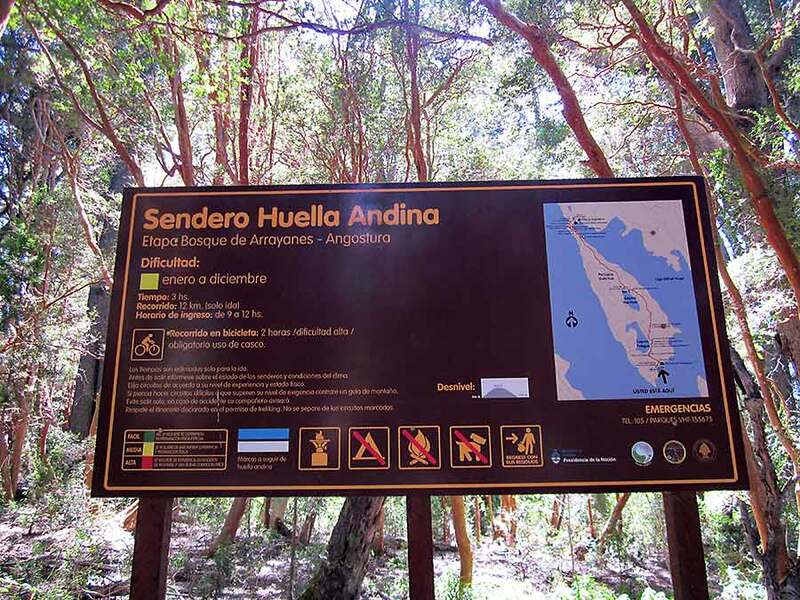 Mystic of Holyhead (successor to Lynn Rival) - wrinkly backpacking in Argentina - the very end? 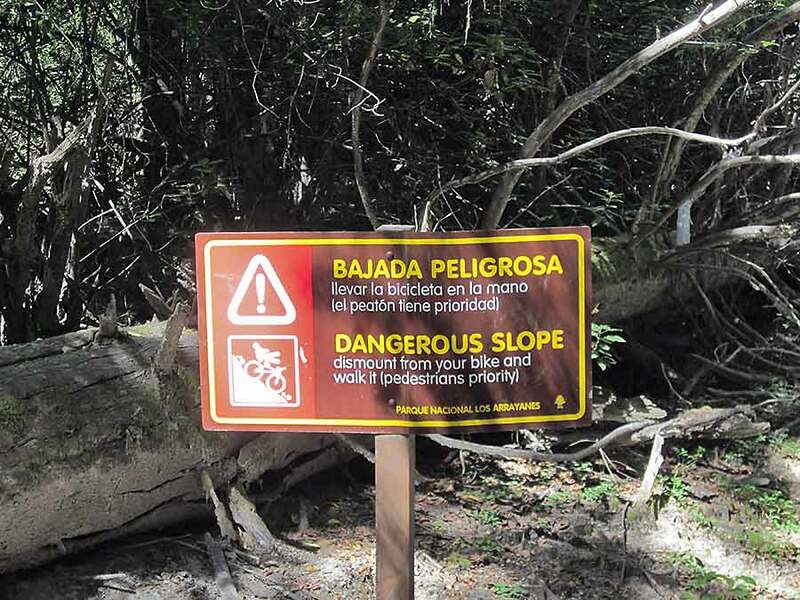 Title: wrinkly backpacking in Argentina - the very end? 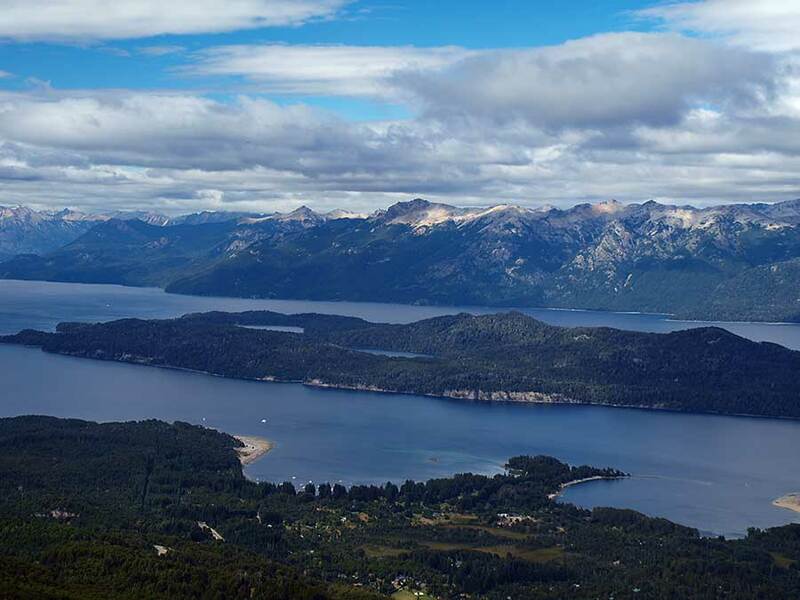 Our final destination in Patagonia was the town of Bariloche - gateway to the "Lake District" and some 1500 kilometres to the north of El Calafate. Once again we took a plane in preference to an arduous journey by bus through the steppe. It really is very blue! The lake district is very popular with holidaying Argentines. It seems not everyone likes to swelter on the packed beaches of the (Brazilian or Uruguayan) Atlantic coast. 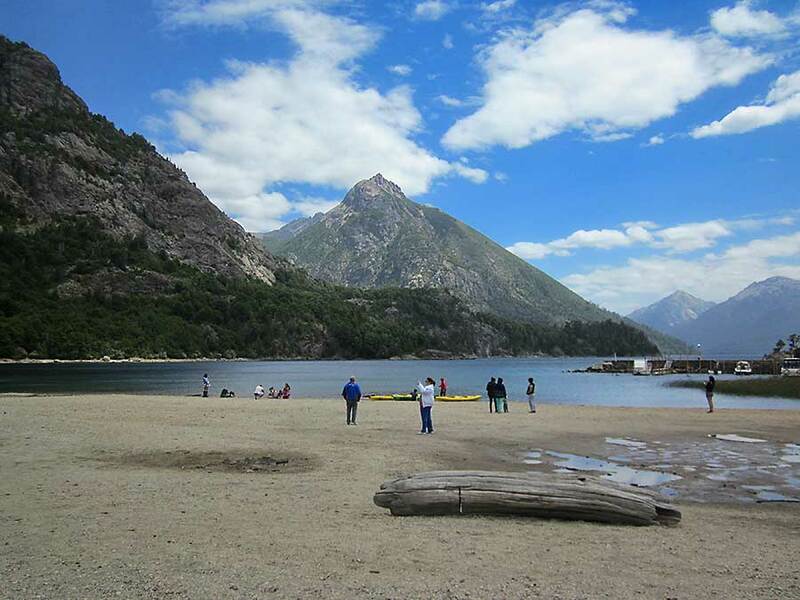 There are many lakes in Patagonia, especially in the foothills of the Andes, but this collection, surrounded by tree covered hills and mountains, is the favourite place for trekking and mountaineering in summer - or just to escape the heat of Buenos Aires. In winter the area is popular for skiing so the tourism infrastructure is well developed. Bariloche is famous for its alpine architecture and chocolate shops but we didn't like the town, where too much development spoils what might once have been a charming village. The scenic mountains and lakes are to the west and north. For a few days we managed to get around using public transport but then gave in and hired a car. North of Bariloche the little town of Villa La Angostura was much more to our liking so we stayed a couple of nights nearby in a small family hotel hidden in the woods. 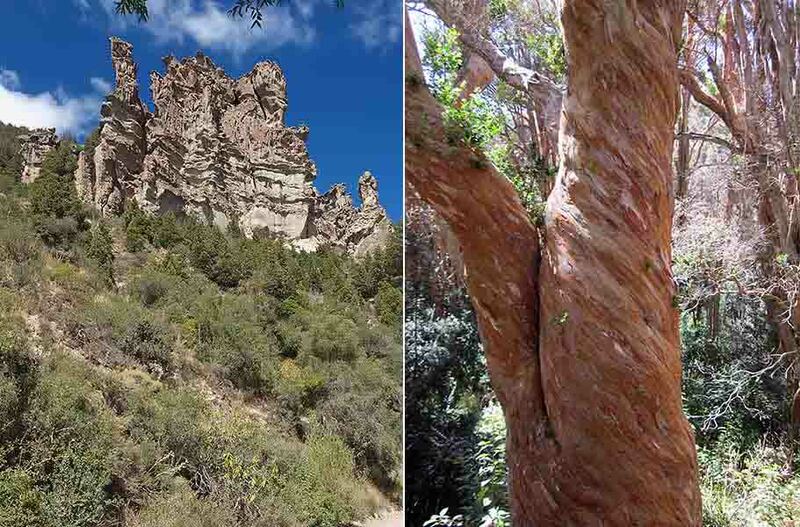 From there we visited a National Park on a 12 kilometre long teardrop-shaped peninsula that is home to some special trees, called Arrayanes. It's a long walk from one end to the other but we were able to take a boat to the far end and walk back. Instructions for walkers . . .
. . . and more specifically for cyclists! The picture shows the downhill, but what goes down must go (be carried) up. A local ski resort also made a good outing. We took the chairlift up and then walked along the barren ski slopes enjoying the views. It was here that Rachel's shoulder became very painful. Fortunately we were by now at the end of our tour. Treatment for calcific tendonitis is on-going. We can't wait to get back cruising.